Take your time reading Half Blood Prince, I told myself after reading Order of the Phoenix. Take your time. You have over three months to read two books in this series reread. And I lasted one read. Barely a week before I started Half Blood. Barely a week! My Harry Potter obsession hasn't kicked up a gear. Nope. Not at all! Like I said in my write-up of Goblet of Fire (that blogpost is here! ), this was the second book in the series I was the most excited to read. I think it's because I have such mixed feelings over this book. After the darkness of Goblet and Order, this is quite light - we deal with teenage romance mostly. 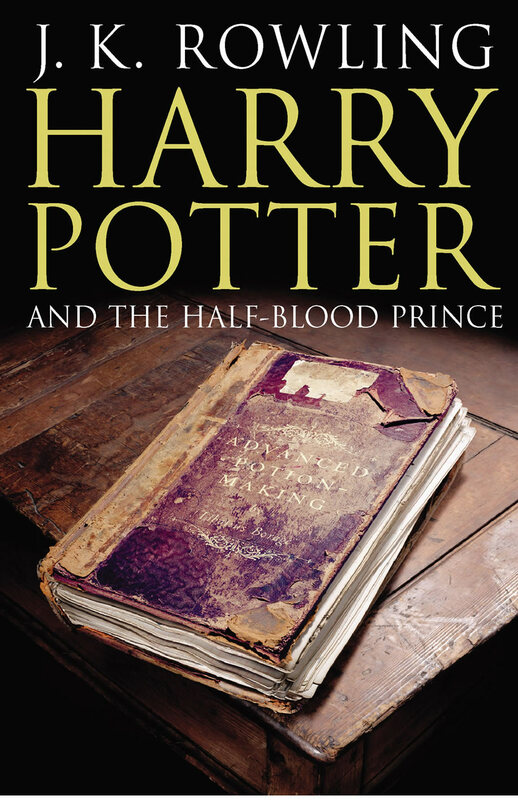 Yes, we do tackle dark subject matters in this book - Voldemort's past, Professor Slughorn, Dumbledore and Snape's relationship and Snape's character as a whole. But it feels more like a lighter book. But there was a few things I spotted that made me stop and go "oooh". "Of course they were," he said. "Surely you've realised what's going on?" "I..." hesitated the Prime Minister. It was precisely this sort of behaviour that made him dislike Fudge's visits so much. He was, after all, the Prime Minister, and did not appreciate being made to feel like an ignorant schoolboy. (page 10 of the UK children's Hardback). I have always read it that the Minister of Magic is the magic equal to the Prime Minister, but Fudge's attitude is not as an equal. Fudge treats the Prime Minister like a child. Fudge, like most witches and wizards, believe that they are superior to Muggles. If you are not a witch or wizard, you are behind them, belittled, treated as a "Other". We see this happen time and time again through the course of the series - Malfoy called Hermione "Mudblood" in Chamber of Secrets, Fudge's reaction at the end of Goblet of Fire when Dumbledore told him that the Ministry must talk to the Giants, Umbridge's reaction to the centaurs in Order of the Phoenix and wizard's reaction to character's blood status. But it seems to be in this book that this creeps forward, but is lost underneath the fluff of young love. For example, in The Other Minister, the Prime Minister remembers Fudge's visits to him over the past few years and how, with each visit, the visits getting shorter and shorter. The previous visit was so short that Fudge, according to my read, never left the Floo Powdered fire. He still had a foot in it as he said that there was a mass breakout from Azkaban. He gave the Prime Minister no information. We see Trelawney getting angry at Firenze staying at the school as joint Divination as, on several occasions, she calls him "usurping nag" and "Dobbin", renaming him to a name used for donkeys. When Malfoy confronts Dumbledore near the end of the book, he uses the term Mudblood and Dumbledore asks Malfoy not to use the term, but Draco laughs. But the time prejudice really hit me - barring The Other Minister - was in the chapter Elf Tales, when Hagrid is taking Harry and Hermione back to the Gryffindor dormitory after they saw Ron in the Hospital Wing (due the poisoning in the previous chapter) and Filch catches them and threatens detention. When Hagrid says that they won't and Filch questions this (obnoxiously), Hagrid shots back "I'm a ruddy teacher, aren' I, yeh sneaking' Squid!". Now, seeing as Hagrid has be persecuted most of his life because he is a half-giant, it's shocking to read that Hagrid throws the term Squid at someone like an insult. There were other little things I missed - we hear and meet Umbridge again. Why did I, on my first read, not notice Umbridge in this book and that she was still working for the Ministry? She still has a fear over centaurs - which is making wonder what exactly happened to her in the last book. Also, in one of Dumbledore's lessons, we meet a character called Hepzibah Smith. Is she related to one of Harry's fellow classmates, Zacharias Smith? And if that is the case, is he related to one of the Hogwarts's founder, Helga Hufflepuff? And, at Slughorn's Party, Luna talks to Professor Trelawney about the Rotting Conspiracy and Professor Trelawney "seemed sincerely interested". Why would Trelawney be interested in this? I found her and Luna's interaction fascinating to read and wished for more. While I didn't come away from this book with the same reaction as Goblet of Fire, am nearly at the finish line! ONE BOOK TO GO, PEOPLE! ONLY ONE BOOK TO GO!!! This was meant to be my review for Halloween. For once, I wanted to read and review a story for Halloween and I thought it would be perfect. I mean, Hello! It says so on the cover - A Ghost Story. I have read two of Susan Hill's ghost stories before - The Woman in Black (review here) and The Man In The Picture (review here), and I have two quite different opinions of these titles. 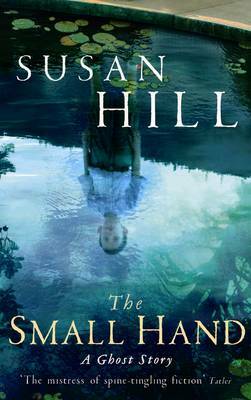 So this is my third and the story I hoped was going to make my opinion for Susan Hill's ghost stories go one way or the other. Adam Snow is an antique bookseller. Late one day, on his way home from a client, Adam gets lost and finds himself at an old abandoned house and its gardens. Finding no one there, he's about to leave, only to feel a small hand grip his. But there is no one at the house or the gardens. Soon, Adam starts to feel like he is being haunted by the small hand. But is he really haunted by a ghost or is he gripped by panic attacks and hallucinations? Am going to admit this. Out of the three Susan Hill's ghost stories I have read, this is a my least favourite. Maybe I wasn't in the right mindset for the story, but I found it a little dull. I was hooked by the end for the first few chapters, but my attention kept wandering and, at one sitting, where I wasn't feeling so great, I read a huge section and nothing sack into my brain. It left no trace, and I didn't once feel uneasy by the story and the haunting. My biggest issue was the writing style. In The Woman in Black, the style fitted perfectly because it was set back in the early 20th century. But The Small Hand was a modern story - they was mention of emails and texts - and it felt out of place. I don't know why, but every time something modern was mentioned or appeared, I was instantly thrown out of the story. It never felt right. But, the writing does carry a sense of unease. Susan knows how to write that, but the feeling of unease can only go so far and I wanted something to happen. Something that would creep me out (and I can get scared very easy so I was awaiting the scare in a mix of excitement and fear). But it never came. There was a conclusion but nothing else. Where was the pay off for this story? Another thing I wasn't happy with was when information was dropped in. I get it's a story and things can't be put right at the start, but there was one or two bits of information that was thrown at us and, while they served a purpose for the story, it felt like these were rushed in. There were dropped in as an afterthought, even. That I found jarring. I admit that this wasn't the type of story I normally read, but out of the three, I would say read The Woman in Black if you want a ghost story that will creep you out. But this is my opinion, and from the other reviews I have read, I am in the minority so if you want to read this, read it! Please don't let me stop you! Because this wasn't my cup of tea doesn't mean it won't be yours! 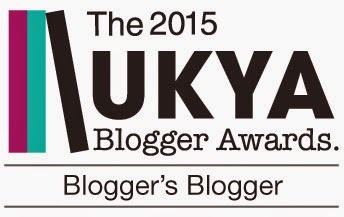 Hello everyone, and welcome to this stop on the UKYA Extravaganza 2015! 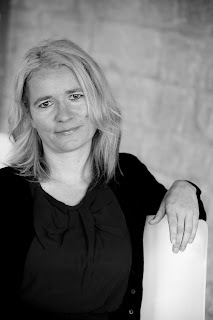 I am here today to welcome author of Land and Cloud 9 to the blog, Alex Campbell! 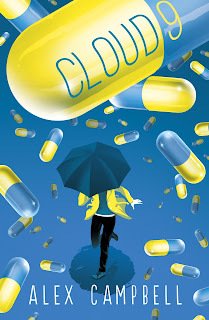 Now, I do have a copy of Cloud 9 on my TBR and am quite intrigued over where the book is going to go as it's handles bloggers - and as a blogger, am a mix of excited/scared over it! But before I hand it over to Alex, I just want to say thank you to Alex for writing this piece for the tour and thank you to Kerry for organising this tour - and thank you for including me! Am quite honoured to be involved. Thanks for having me Andrew! 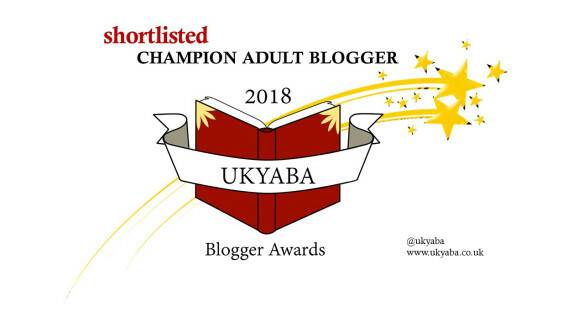 I’m made up to be a part of Nottingham’s UKYA Extravaganza – it’s incredibly exciting, and all possible because of two brilliant writers and all-round life-givers, Emma Pass and Kerry Drewery. Gushing and glowing over, now onto me, me, me (I can only apologise). So you asked me about why I like to write about big issues in my novels LAND and CLOUD 9. In truth they often don’t start off that way. 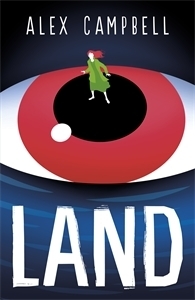 LAND and CLOUD 9 both emerged from what I think of as Big Questions – a personal choice I will probably never get tested on – the larger of the what-would-I-do-ifs . . .
You find a suitcase filled with millions of pounds . . .
Do you take it? No? What if you’re in dire need of money – then? Or your brother needs an expensive life-saving treatment – then? What if I can tell you – you will never ever be found out. Now do you take it? Yes? But then what if you find out it belonged to someone who needs it more? And you’ve already spent it? Or what if some criminal faces death because they lost their drugs warlord’s money? Do you seek them out? Or stay quiet? And we haven’t even got started on how the money might affect you, your life. For better, for worse? Writing a story can help you delve deeper and darker into the what ifs of your subconscious, but to truly answer them I believe you need to broaden your questions out into the big bad world – because let’s face it, that’s what’s made you . . .and so I suppose that’s when the bigger issues in society come into my stories like they have in CLOUD 9 and LAND. In CLOUD 9 my personal big question was: if there was a harmless happy pill that everyone was taking – would I? To properly test my personal choice, I had to journey into the environment I live in. I needed to take a good look at society and its influences, our culture, our beliefs, all of which have a bearing on my life and the lives of others. I soon found myself digging away at this emerging culture towards instant happiness and positivity – from celebrity vloggers preaching about being positive and ways to banish ‘bad thoughts’, to Big Pharma and the millions they make from pills that adjust people’s moods, including children’s. I started examining the ‘what ifs’ of society. Questions grew. What if we do turn increasingly to pills to get us through any painful moment, to banish hard memories, to stay appearing ‘normal’, happy, positive? What happens to the spectrum of human emotion – if melancholy is kicked out? What happens to poetry, to stories that are dark, to music that can tap into human pain? If we start to self-censor negativity by ‘banishing bad thoughts’, how soon will society start to censor material that incites bad thoughts? And what about those who can never forget or bury pain no matter what? Do they get pushed to the periphery of society? Questions grow branch-like, before you journey back down to the roots again, to the something simple that knits your story together: What’s so wrong about being sad? Whether it’s personal issues or public ones, delving deeper and writing a story always helps to remind me that at the end of the day it’s just so important to question – yourself, others, society . . . and never stop questioning, even if the answers allude you. What if, what if, what if. So, here we are in my trying to reread all seven Harry Potter books in one year. The big mama! 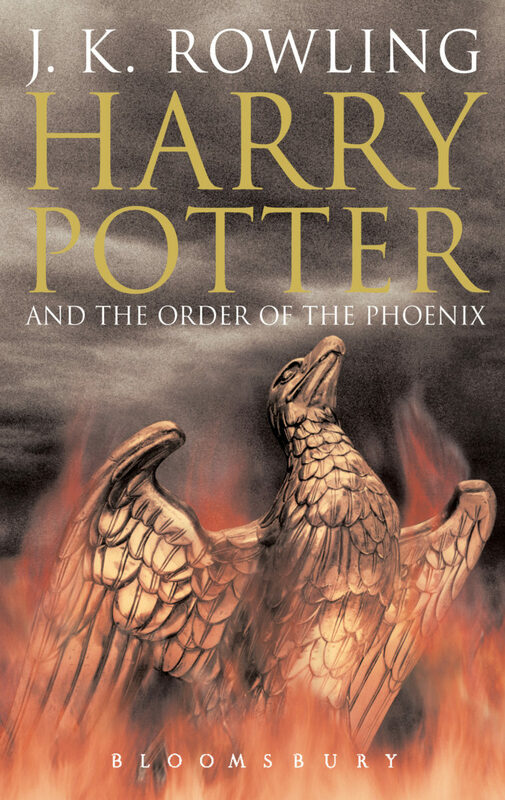 The beast we call Harry Potter and the Order of the Phoenix. Now, as you guys probably know if you have followed my blog for quite some time, I have reread this several times in the past. My opinion of it has changed somewhat. When I first read this book, I disliked it. Quite a bit. And when I reread it a few years back, I did like it but I had a lot of problems with it. The "Grawp" subplot which adds NOTHING to the overall story. The "Weasley Is Our King" that borders on and beyond into bullying and yet, NO ONE PUT A STOP TO THE BULLYING. The subtle hints of blood-purity and racism in Hogwarts (there's a scene where Pansy Parkinson shouts "looks like worms" or something to Angela Johnson, which is a dig at Angela's skin colour because she's black. Also, the way the Gryffindor ignore it and the Slytherins enjoy this shows that this isn't the first time that racial slurs have been used - I thank Oh Witch Please for pointing this out). But the biggest thing I saw that I have never seen before is the lack of emotional support that the students of Hogwarts are given. Let me explain. At the end of Goblet of Fire, a student - Cedric - dies. He is murdered in front of Harry and Cedric's dead body was seen by the students not only of Hogwarts, but of Beauxbatons and Durmstrang. The students are at Hogwarts for several days/weeks then go into the summer term. No grief counsellors in sight. And then, when the students return to Hogwarts - we see several characters that would benefit HUGELY from grief counselling (Harry and Cho are two characters I can think of off the tip of my head), do they get the emotional support they need through this difficult time? No. No, they don't. And with Harry being so angry and SHOUTING IN CAPITAL LOCK FOR A GOOD PART OF SEVERAL LONG CHAPTERS, this would be hugely helpful. And yet... nothing. Harry is left alone with his emotional struggles. Even Dumbledore, who says he cares for Harry and yet, leaves him alone because he thinks that for the best, doesn't seem to be worried about his emotional state. Instead, he is worried about Voldemort breaking into Harry's mind - and he thinks leaving a hugely emotional-damaged child (Harry is 14 in this book, by the way) is the safest course of action. Because of this, it made me really wonder about how the wizarding world treats mental health - something we see in Christmas on the Closed Ward but when you look at the characters in this chapter on that ward, they could be classed as mentally unwell. But, they are in a locked ward in a general hospital and we don't get any information on if there is a wizarding hospital focused solely on patients with mental health issues. But this is an extreme. What about people who suffer from grief? OCD? Post Traumatic Stress Disorder? Anxiety attacks and panic attacks? Eating disorders? Depression? Schizophrenia? Bi-polar disorder? What about people who live a "normal" life with this? Where is the emotional support there? Because, barring the Christmas on the Closed Ward, we see no one with a mental health problem. I love this series, I do, but I want to be critical over the series. And this is why rereading this series is so much fun. Something new will always be discovered! Right, I have two books to go and 3 months to read them! I CAN DO THIS!!! I THINK I CAN DO THIS!!! With these two thrown in just for good measure! And it went ok. I worried for nothing! I had fun, I didn't scare anyone that badly and it was nice to chat about books and blogging without people going "Why are you still talking about books? Are you normal?". Well, it's gonna happen again. I have been asked to be involved in another workshop/panel-type thing at the Young Adult Literature Weekender this coming October! And wonder why Mary Berry doesn't have a Murder She Wrote type show. I mean, can you imagine the murderer's reaction if he/she was give this look by Mary? I'm not sure the plan of action with me that day will be (I am a little older than the ages given on the site) but I will be around, plotting and trying not to panic in public. But will be fine! Should be a laugh! If you are going to this, I shall see you all on Sunday. 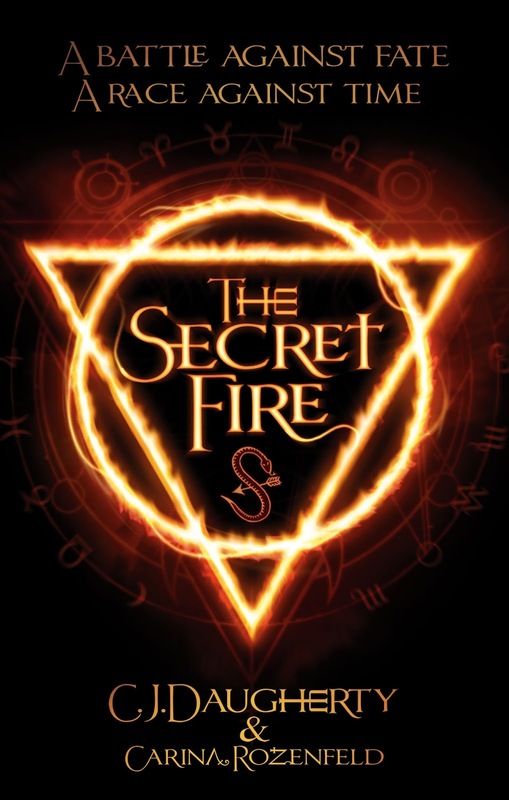 If you want to get tickets or get more info, go to http://www.southbankcentre.co.uk/whatson/young-adult-literature-2015-93154 for more details! The last few days, the rumour mill has been in overtime because of the BBC. Last week, the Director General of the BBC, Tony Hall, announced that the BBC "faces a very tough financial challenge. We will inevitably have to close or reduce some services". Because of this, people fear that the one of the closures will be the CBeebies channel, aimed for preschoolers, could be axed and moved to an online service. Because of this (and me trying to understand more about what could mean), I did an open call on Twitter about this. Rhys from ThirstforFiction answered the call and sent me this tiny piece, which I wanted to show with you guys. I hope you guys really like reading this and, hopefully, we can have an open discussion over the BBC - the good and the bad! Before I hand it over to Rhys, please check his blog out at ThirstforFiction.com and his Twitter, @rhyswolfgang. Rhys also wanted me to point out the change.org website so if you want to add your name to the petition, you are more than welcome. I must thank Rhys for this as well. Thank you for taking time out to write this and allowing me to put this on my blog. Thanks! I’m a first year university student, and I love the BBC. It’s a love I’ve held for a long time: from my first discovery of Attenborough’s wildlife documentaries The Life of Mammals and Blue Planet aged 7 to Sherlock, Louis Theroux, Doctor Who, Michael Mosely, Top Gear (RIP…), Have I Got News For You, QI and more. These shows are something I’ve taken for granted, really. Until I went travelling. In Australia, I regularly watched the “news” every evening, if you can even call it that. It was shallow, vapid, and interrupted by more adverts than content. News broadcasters seem to shy away from actual news and prefer to have awful, chat-show. Another morning in Australia I spent with a family with young children. They watched Peppa Pig and a few more BBC productions with their 5 year old daughter. I asked them if there were any good Australian children’s shows for younger kids. They said no. This struck me as tragic. Whist I was there, none of their kids watched TV that was voiced with native accents: everything was either American or British. There may be a time and a place for globalisation, but kids and toddler’s TV is not one of them. So news that the BBC is potentially axing CBeebies, its channel for toddlers and young children, is somewhat distressing. I believe children have the right to access content that is voiced by their native accent and advertisement free. Chopping CBeebies will make it distinctly harder to make this possible. Think back on your childhood, or your kids’ or grandkids’ childhood. What were the characters they loved best at that young age? Invariably, most of them are from the BBC: Postman Pat, Teletubbies, Pippin, Peppa Pig, In the Night Garden and more I’ve never even heard of…because I’m not a toddler or parent! I can’t blame the BBC – they’re facing significant budget cuts AND they’ve just been asked to foot the bill for the licence fee of every pensioner, who get the BBC “for free” (something I profoundly disagree with) AND they’re trying to fight a political battle against the Conservative government, who apparently want to drive the BBC to a size so small they effectively become meaningless. Sure – the BBC might be bloated in areas. Every organisation should be as efficient as possible. But when imposed budget restrictions mean that a service ends up having to cut significant services like CBeebies, as well as BBC News and BBC4, you know you’re scraping the bottom of the barrel. The BBC has become a political battle when it’s ideal is to be as objective to current politics as possible. But that’s hard to maintain when one of Britain’s greatest assets is being slowly throttled to death. 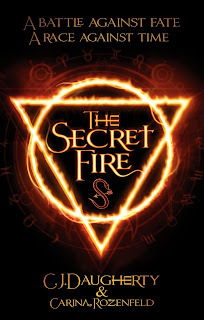 Today, am excited to be part of the Secret Fire blog tour, which is celebrating the release of The Secret Fire by CJ Daugherty and Carina Rozenfeld. But today's tour post is a little different from the others! Today, myself and my French blog-twin for the day, Les Mondes de Clèm (who was so lovely helping me translate the questions and some answers into French - if you are French speaking/reading person, please check her out! ), are switching posts. So, I will be hosting our shared blogpost in French and Les Mondes de Clem will be hosting our blogpost in English. So, please, check each of us out as we try this out! Anyway, enough of this talk, let's get start with these questions, shall we...? Bienvenue sur mon blog, Taylor et Sacha. Avant de continuer, pourrais-tu nous dire quelques mots sur toi. Pourquoi pensez-vous que professeurs, M. Finlay pour Taylor et M. Deidé pour Sacha, vous ont demané de répondre à cet article ? Taylor: Il fait toujours des choses comme ça. Pour être honête, je pense qu'il veut que j'aille à Oxford plus que je ne le veux moi-même. Mais c'est un très bon professeur. Sacha: Parce qu’il aime me donner du travail en plus ? C’est sa grande spécialité. Mais je l’aime bien. C’est le seul prof du lycée qui s’intéresse un peu à moi. Alors peut-être qu’il me la demandé justement pour me prouver qu’il m’aime bien… à sa façon ! Quels sont les cours que tu aimes ? Et ceux que tu n'aimes pas ? Taylor: J'adore l'histoire, le français, les sciences... Et j'adore aussi les maths. En fait, il n'y a pas de cours que je n'aime pas ! J'ai quand même hâte d'aller à l'université. C'est à ce moment là que les choses deviendront vraiment intéressantes. Sacha: Quand j’allais en cours, j’aimais l’histoire, parce que mon père était historien médiéviste, l’anglais, facile pour moi, puisque mon père, d’origine anglais, me parlait dans cette langue. Pour le reste, je ne me débrouillais pas trop mal. Mais tout ça, c’est du passé. Où te vois-tu dans cinq ans ? Dans des études supérieures, voyageant à travers le monde ou bien faisant quelque chose de différent ? Taylor: Je vais étudier l'archéologie à St Wilfred, à Oxford. Ensuite, je vais être diplômée. Dans cinq ans, je serai archéologue. Attendez de voir. Sacha: Ahah, c’est une blague, non ? Je ne pense même pas être en vie dans cinq ans ! Je vous rappelle que je dois mourir dans 8 semaines, le jour de mes 18 ans ! Alors dans 5 ans, si j’y arrive… On verra à ce moment-là. Penses-tu que le passé est important pour l'avenir de chacun ? Taylor: ABSOLUMENT. Nous construisons nos villes sur d'anciennes villes. Et nous construisons nos vies sur d'anciennes vies. Comment le passé peut-il ne pas être important ? Il est une partie de nous. Sacha: C’est le passé qui fait de moi celui que je suis aujourd’hui. C’est le passé de ma famille qui me poursuit encore, et qui est à la fois un fardeau et un trésor. Le passé est le socle de chaque individu. Sans lui, nous sommes des nouveaux nés. Maintenant, j’aurais préféré que le mien soit un peu plus… léger, on va dire hein ! Parce que pour l’instant, il ne m’aide pas trop à envisager mon avenir. Bon sang, vous m’embrouillez avec ces questions ! Maintenant que nous en avons terminé avec les questions ennuyantes, parlons musique. Quel genre de musique aimes-tu écouter ? Taylor: Ma meilleure amie Georgie est obsédée par Taylor Swift, et je l'aime bien aussi. Mais je suis plus indépendante. Quand Georgie n'est pas là pour s'en plaindre, j'écoute des groupes comme First Aid Kit and Neko Case. En ce moment y a-t-il une chanson que tu aimes particulièrement ? Taylor: Il y a une chanson de First Aid Kit qui s'appelle "When I Grow Up" et que j'écoute beaucoup. C'est un peu vieux, mais c'est bien. À quoi te fait-elle penser ? Taylor: Être capable de prendre mes propres décisions, et faire ce que je veux. Être courageuse. Sacha: Que je ne suis pas le seul à me sentir mal, à penser que je suis bizarre, que je ne comprends pas pourquoi je suis comme ça et comment je peux changer. Quand tu n'es pas de bonne humeur, y a-t-il une chanson que tu écoutes souvent ? Taylor: Je suis toujours de bonne humeur ! Sacha: Je ne suis pas souvent de bonne humeur en ce moment. Et une qui te motive peu importe le moment ? Taylor: Connaissez-vous la chanson "Boom Clap" ? Je l'adore ! Pour finir, quelle est la dernière chanson que tu aies écoutée ? Taylor: Georgie était là hier soir et elle était en charge de la musique alors EVIDEMMENT c'était "Bad Blood", de Taylor Swift. Ça ne change jamais. Merci beaucoup Taylor et Sacha d'avoir répondu à mes questions! Under a month ago, I figured something out. Something that took me so by surprise, I danced around my kitchen. After 5 or so years, I figured out my blog's voice. I was happy with what I wanted to do with my blog and its future. 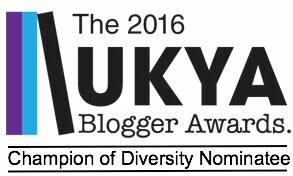 I wanted reviews of books and exciting guest blogs, chatting about a range of things from books to the big issues. Stuff was happening behind the scenes with my blog and I was excited. My blog was growing up in a way that excited me. Only for that feeling to come crashing down a few days later and I felt like I had failed at being a book blogger. I felt like a failure. So what happened? What caused this 180? I have no idea. I can't remember what caused me to feel like this and go "Why am I doing this?" That's why I decided that I wanted to write this blog post. But I decided to wait before I did it, just in case that feeling stayed. But I figured it out. I feel out why, at times, I get myself in an emotional state about, not only my blog but my life in general. I worry. I worry that I'm failing. I worry that I'm going to fail. I worry! I know what you're going to say: everyone worries. And you are right. Everyone worries. But worrying seems to be something I always do. I worry worry worry. Worry I'm not going to have enough to pay rent this month. Worry about not being a good enough son/brother/uncle/partner/friend/etc. Worry about not being a good enough blogger. Worry worry worry! That's not good. I can't go round thinking like this. That I'm going to fail, but soon, I will stop trying and, by default, I would fail. I am not going to make myself feel like a failure before I even try. So, why am I writing this? Because this is me being more open. By saying i am going to try and stop sweating over the small stuff. Of course, I'm going to worry. But am not going to worry myself into a state. So, sorry for this bummer of a blog post but I had to get this out of my system. The blog is going to change and I'm going to not worry about it as much as I have in the past (though my NetGalley and TBR piles still grow larger!). This blog is changing and growing up. Let's not worry about what's round the corner. Let's try and enjoy the moment. I'm not entirely sure when I heard of this book, but as soon as I heard it, I knew I had to read it. I knew I had to annoy the heck out of the publisher/book shop to get my hands on a copy. So, when Walker Books sent me a copy to review, I was very happy and started reading it almost immediately. I mean, come on. Have you not seen the cover? Katherine and Matthew are meant to be together. They're destined to be together. They are born again and again to find each other, only to be separated tragically. Whether that is in the siege of Carlisle in 1745, the Crimean War in 1854 or the near future of 2019 and 2039, they will always find each other. But why? Why do they keep coming back? What must they achieve in each life before they can live and love in peace? And will their next together be any different? I really love this book. This is going to be one of my fave reads of this year, that's how much I love this book. I found Lauren's writing engrossing, as I did the story. Well... stories. We do have 4 timelines to read. It was the timelines I found fascinating. How will Lauren make each timeline different from each other but keep they interlinked and without the reading getting confused? But Lauren made each timeline very unique and I never felt confused or had to go back to the start so I knew what timeline I was reading. Each was very different in tone and style. Each Katherine and Matthew was different in each timeline and, because of this, their romantic together was very different. I wasn't reading the same couple over and over again. Each was new and different, and yet important to the next. This book has been billed by some reviewers/bloggers/vloggers as a romance. While I agree it does have romance in it, I wouldn't say the book is a romantic book. There is a mix of genres in here, which should fit most readers. There are elements of historical fiction, dystopian, time-travel/alternative universes, corrupt governments and biological warfare. It's romance-meets-science-fiction-meets-history. A mix bag and one that works really well. 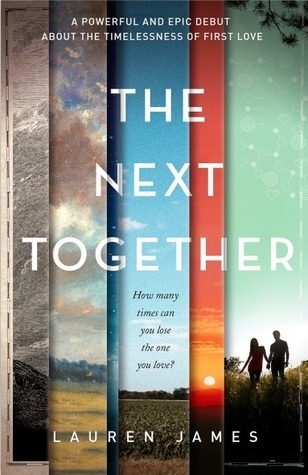 There might be one or two things that might bother you when reading this, which happen quite close to the end of the book, but with a sequel on the horizon (The Last Beginning), I sense these will be address there. DNFing Audiobooks - Should I? Every now and again, I like a good audiobook. Sometimes, it can't be helped. And most of the time, I get sucked into an audiobook and I just can't stop listening. But the last few I tried to listen to, I've just stopped. I've DNF (Did Not Finish, for those you who aren't aware of the shorthand) them. And it's a mix of reasons. My mood or me just going "Are you kidding me?!" Now, I always feel like I'm writing these types of blog post every now and then, in a way to be more honest. An Open Letter, explain why I've stopped reading a book, whether that is a book I have bought or a book I have requested for review. I will link you to both posts here (An Open Letter about Delirium) and here (When Is It Time to Stop?). But these are books or ebooks. I have never had this problems where I want to DNF an audiobook. I have been very lucky to find audiobooks where I get so caught up in the moment. But there have been a rare few times when I had to stop because I was getting angry or quite upset over it and I had to stop. Am going to talk about the only 3 audiobooks this has happened to (and two of them were for review, which makes this oh, so much worse! 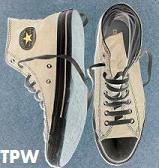 ), but there are more and I might list them before. The first was an audiobook I bought. Apple Tree Yard by Louise Doughty. Now, I really listened to sampler of this and this was one of those books where everyone seemed to be talking about it. Everyone. So I bought it and listened. I got to around the three hour mark and I had to stop because I was getting so angry with the story. Angry and frustrated. I didn't like the main character, I hated the "It was only an affair, but look how bad it turned" storyline and I loathed how the story was told: the main character talking to us as if we were the person she had the affair with. 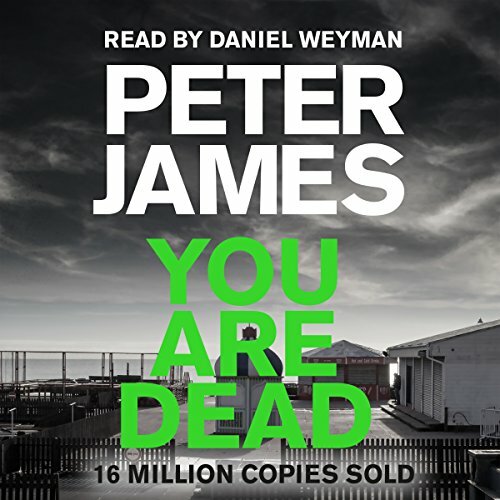 The second was Your Are Dead by Peter James. I'm a fan of crime and this just sound perfect for me when I was offered to review it. I was really excited as well. But I got over an hour into it and not only was i beginning to feel that this was going to become predictable, but there was one scene that I found quite disturbing. Now, I have quite a strong level to things like this, but for some reason, this unnerved me. And then the predictable storyline began again and I felt began to go "Am I enjoying this?". When you ask yourself this when reading/listening to a story, that's not a good sign in my opinion. You're second guessing yourself. With a story, you shouldn't be thinking that, you should be in the story. 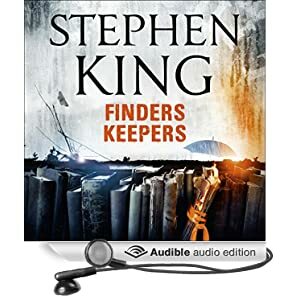 The third audiobook is Finders Keepers by Stephen King. This is the sequel to Mr. Mercedes, an audiobook I forced myself to finish as it's my first Stephen King and I wanted to finish the audiobook before I passed judgement. But when this came up for review, I was a little hesitant over it. I struggled with Mr. Mercedes, but I thought, as I found my stride quite late in the audiobook that I thought this would carry over into Finders Keepers. This isn't the case, sadly. Now, these are still on my iTunes and I'm not completely ruling out returning to them (expect Apple Tree Yard - sorry, but no. Just no). But is the same rule I have for DNFing books and ebooks carry over to audiobooks? Or, because it is a different format, I should try and continue onwards? What do you guys think? I feel guilty over this as it's audiobooks and I love a good audiobook, but it feels weird quitting audiobooks. I have this attention that life is too short to read crap books and I want to read stories that get me excited and I want to share with you guys on my blogs. I would like to read stories that I can have discussions over due to issues raised in the stories. But to force myself to read/listen to stories that doesn't grab me or hold my attention... that's where I feel uncertain as a book blogger. As a reader, I wanna quit and move onto the next books, but as a book blogger... I feel like I'm second-guessing myself. So, am turning to you. When you are reading a book, an ebook or listening to an audiobook and it's not grabbing you, do you stop and move on or do you power on through?